The Director, Medical Science Liaisons leads & manages a specified therapeutic area field based MSL team, ensuring in conjunction with the Senior Director, Medical Affairs, that field activities are carried out in an ethical, compliant, timely & effective manner, & that medical & scientific expertise & initiatives are provided & are aligned with the operational plan & medical department objectives. The MSL Director provides strategic & tactical leadership advice & expertise within the field medical team, ensures expertise within the scientific, clinical & therapeutic area to support on a non-promotional basis, medical & scientific initiatives for marketed & pipeline products, as indicated. He/she provides strategic leadership & guidance to the MSL team in the identification of local opportunities, using his/her, knowledge of Key Opinion Leaders (KOL); the therapeutic area & health characteristics of the population. Consequently, the MSL Manager has responsibility for the leadership & development of the Medical Science Liaison (MSL) Team & the implementation of the scientific activities & the clinical plan. Demonstrate fundamental therapeutic area & product knowledge to effectively contribute & support JUULs Medical Affairs strategies & objectives. 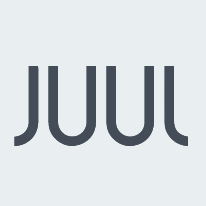 Engage in scientific exchange about JUULs products & ensure appropriate dissemination of clinical & scientific information. Maintain cross-functional collaboration with internal teams: Business Planning, Patient Advocacy, Clinical, Regulatory, Legal, etc. Contribute to the development & implementation of medical education strategies & initiatives, publication planning, development of medical education material, internal training, etc. Perform & complete administrative responsibilities & internal projects timely, activity reports, KOL contact documentation, expense reports, etc. Fully comply with all laws, regulations & JUUL Labs Policies, Code of Conduct, all privacy & data guidelines, relevant state & federal laws & regulations. Work related travel expected to be up to 70%. Travel will include overnights & may involve weekends. 8+ years clinical experience post degree preferably in the relevant specialty for which you are applying. For this role, experience in psychiatry/addiction necessary. Must be self-motivated in working independently. Effective & strong interpersonal skills combined with the ability to continually demonstrate poise, tact, diplomacy, & the ability to change the thinking of or gain acceptance from others in sensitive situations, without damage to the relationship. Must be able to multi-task, organize, prioritize, & work effectively in a constantly changing environment and/or tight deadlines. Adept at developing relationships & building networks with KOLs, HCPs, & managed care KDMs. Works effectively in a team by maintaining a proactive & collaborative approach in managing situations involving both internal & external customers. possess the ability to anticipate problems & come up with appropriate solutions in an organizational & analytical manner. Working knowledge of Medical Affairs & knowledge of industry practice & regulations. Demonstrates proficiency in MS Office technologies. Individual must be able to handle multiple projects with tight deadlines.